MsMoney Personal Financial Empowerment > Career > Going Back to School > What’s an MBA Worth? It’s no secret that women who have MBA degrees make more money than women who don’t. Despite the economic rewards, fewer women than men apply to MBA programs. Why? One reason is that women can be put off by the business school environment, which stereo-typically tends to be extremely competitive and lacking in female faculty and support systems. Fortunately, schools recognize this concern and to improve their reputations by offering more women-centrist services and courses, increasing their marketing towards women candidates, and upping the number of female professors. With the increased emphasis on drawing women to business school programs and because of the rewards, higher salaries and better networking and career opportunities, pursuing a business degree might be the way to go. But because of the intensity of many programs, especially those at the top schools, business school requires a level of stamina and commitment that you must be willing and prepared to make. Be sure to talk with current students and teachers to see if the climate and demands are acceptable to you. Tips for finding the right institution for you. BOOK: The MBA Survival Guide: Learn how to get accepted, survive, and ultimately thrive in a top 25 MBA program while being entertained along the way. ARTICLE: Fortune.com: Is Business School Worth the Money? 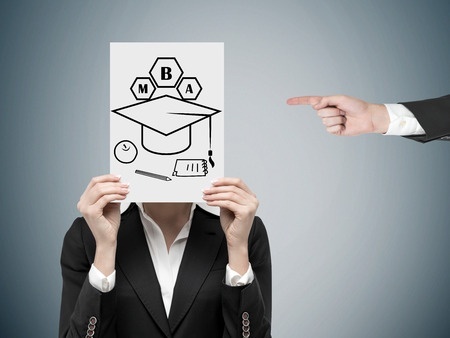 Over time, MBAs earn $1 million more than non-MBAs, says a new study. ARTICLE: Huffingtonpost.com: Finally, More Women Are Going To Business School. Still not enough, though.